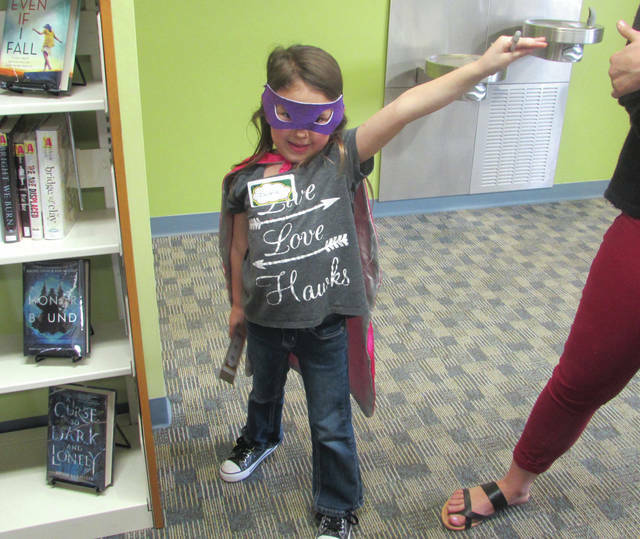 Greenville Public Library patrons were treated to a “Superhero Day” on Saturday. Kids were invited to dress as their favorite superheroes while library staff dressed as supervillains. 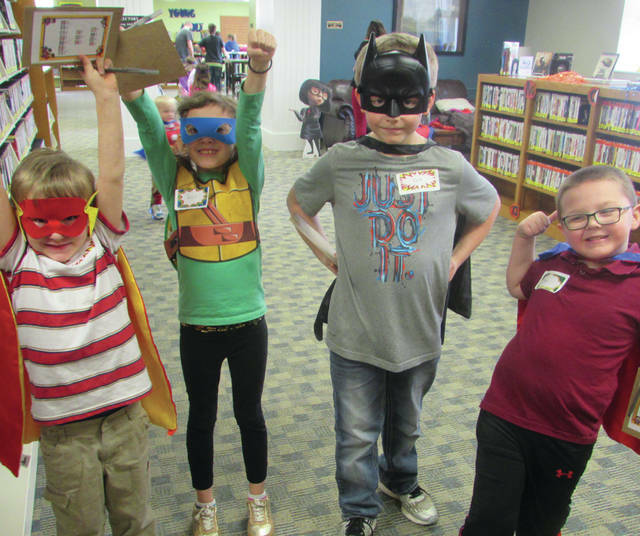 GREENVILLE — Greenville Public Library patrons were treated to a “Superhero Day” on Saturday. 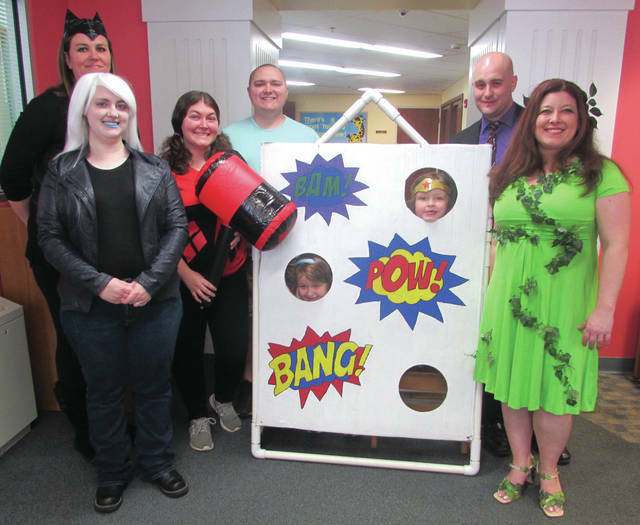 During the event, kids were invited to come dressed as their favorite superheroes while library staff and volunteers dressed as supervillains. Activities included superhero training, in which heroes made their way through an obstacle course consisting of balloons, lasers, molten lava and a ring of fire, and a game of hot potato played with fake kryptonite. Occasional intercom announcements directed teams of heroes to different parts of the library where they were tasked with apprehending villains and placing them in jail. Kids completing the obstacle course received a certificate and also had the opportunity to win prizes such as superhero books and a blank comic book. Later, guests and their parents enjoyed water and snacks while watching “Incredibles 2” on the third floor. Children’s Librarian Julie Kennett, a Greenville native, has worked at the library for more than 16 years. Kennett came up with the idea for the superhero event while attending a conference for library personnel. 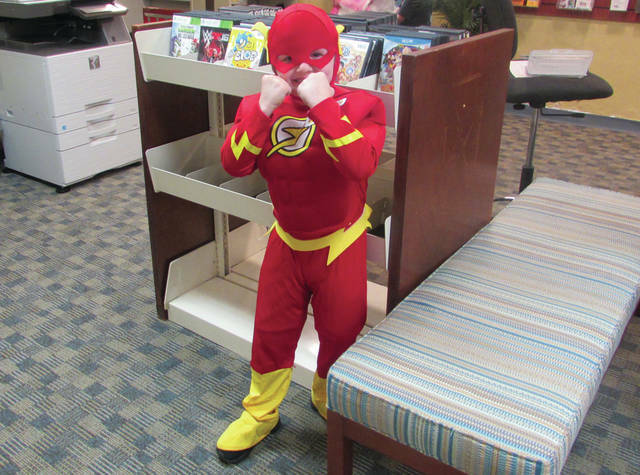 Superhero Day is enjoyed by younger patrons and library staffers alike, according to Kennett. It’s especially fun when the kids don’t know what to make of Kennett in her “villain” persona. One of Kennett’s fondest memories of the event is the time she got to create her own villain. All things considered, Kennett said, this year’s Superhero Day was a big hit. This entry was tagged Greenville, Greenville Public Library, library, Superhero, Superhero Day, Superheroes. Bookmark the permalink.